I wanted to share a great prize that will hopefully help you on your low carb or paleo journey. I’m doing this giveaway in order to personally thank you for your support. The low carb paleo lifestyle is very important to me and I love being able to share my kitchen adventures with you. 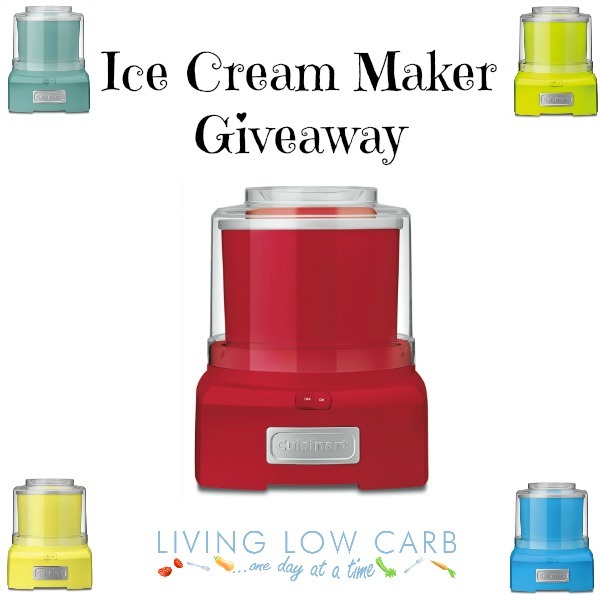 Click on this link to check out the Cuisinart ICE-21 Frozen Yogurt, Ice Cream and Sorbet Maker and decide what color ice cream maker you would like.